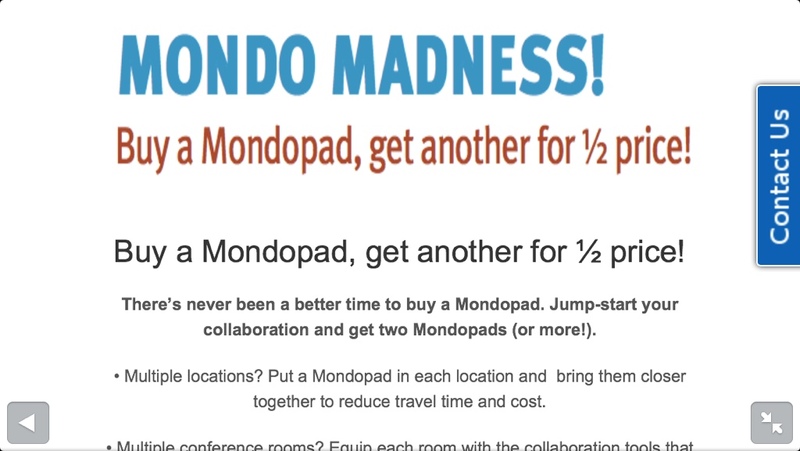 Mondopad Buy one Get one Free! Haverford systems May 2013: Quick update on the infocus Mondopad. 70 inch models have been selling at record rates and are now on a one-month backorder. Current Windows 8 models are shipping with a one-week leadtime. Current Mondopads are shipping with Windows 7 but their Windows 8 compatible. This means they are ready with all of the cameras to do multitouch for Windows eight although the Mondapad software is still shipping with Windows 7. There will be a Windows 8 mondopad upgrade coming out shortly. To start with Smart Technologies offers two Touch Screen LCDs: the 55" and 70" 8070i. Each of the touch screen lcd models come with either the Smart Notebook software for education or the Smart Meeting Pro software for Business. The Smart 55" LCD retails for $5,999 and the Smart 70" retails for around $10,000. The New InFocus Mondopad has Windows 8! 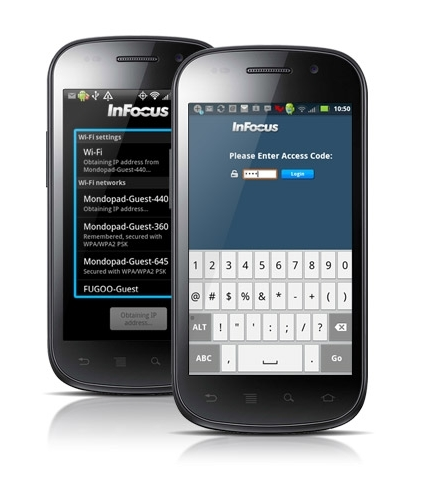 What you need to know about the new InFocus MondoPad with Windows 8. When ordering your InFocus Mondopad keep in mind that the Windows 7 MondoPads are still available and you may be ordering a old model. The two part number to look for are INF5520 and INF5520A. The "A" at the end of INF5520A stands for Windows 8 enabled. The Windows 8 MondoPads comes with all the Windows 8 dual touch and resizing capabilities you would expect in Windows 8. You can resize images, rotate and move documents just like a Giant iPad. To learn more about the InFocus MondoPad and Read More about the InFocus MondoPad iPhone, iPad and Adroid Smartphone applications just read on and we will provide all the information about the MondoPad with Windows 8.